Here's where to watch every episode of Star Trek: Hidden Frontier season 7. Mouseover or tap an episode to see where to stream it. Click or tap the play icon to stream it on the best available service. Heavy Losses Mar 1, 2006 The battle has been lost, and now the crew of the USS Excelsior struggles for their lives. With the battle plan shattered, and the enemy manuvering to annihilate them, no one is safe from the clutches of Siroc and the Tholian Assembly. Bound Apr 1, 2006 The Allied fleet makes further preparations to counter Siroc's next move, whatever it may be. But with the Grey continuing to be a no-show in the struggle for the tetrahedrons and Dyson Sphere, the fate of Admiral Knapp's daughter hanging in the balance, and Barrett's friends still struggling with his MIA status, things are beginning to rush headlong into a breakdown. Past Sins Jun 1, 2006 Tetrahedron research is continuing, but without vital assistance from people in Dao's past, gathering key information about locating and protecting the other Tetrahedrons has stalled out. Dao volunteers to return home and obtain further assistance from his former colleagues; but this mission may very well cost him his life, and the life of his host. Hearts and Minds Aug 1, 2006 When sudden and brutal attacks by the Tholians and Breen begin to target both Starfleet and civilian craft alike, Captain Shelby must begin to battle for the hearts and minds of the Federation's closest allies. Meanwhile, Admiral Cole is confronted with overwhelming odds and an increasingly restless civilian crew in a desperate battle to survive. The Widening Gyre Nov 1, 2006 Captain Shelby's leadership of the Allied forces is questioned, and Shelby is ordered to rest. Corey and Nevin consider an affair. Admiral Knapp, Pelas, and Lieutenant McFarland continue the search for Traya with no luck. S'Tal and Lieutenant McCabe miss Andrew. Captain Naros and Jorian Zen continue the search for Tesla Mor. Things Fall Apart Dec 1, 2006 Old enemies, old friends, and old ideas are shaken up as Siroc's plans shift ever closer to their devestating conclusion; things are collapsing right under the feet of the Allies as he draws nearer to his victory.Meanwhile, Shelby has to face up to the toughest challenge of her career with less help than she's ever had, Dao must face his past if he has any hope of going into the future, and the prisoners must make their stand if they hope to survive the seemingly mindless brutality of Siroc and his henchmen. The Center Cannot Hold Mar 1, 2007 Shelby's recovered the hearts and minds of Starfleet's allies against Siroc and the Tholians - but it may be too late. With the return of an old friend and the loss of new ones under tragic circumstances, Excelsior is in a desperate race to get back to her home station, as the entire patch has suddenly gone deathly silent.If things weren't bad enough, it has come down to the wire for Naros' race to beat Siroc to the Dyson Sphere and stop him from carrying out his mission. With Ro's capture, Siroc's entire checklist for his final plan is complete, and using the stolen memories from Counselor Elbrey, all that's left is getting there first. 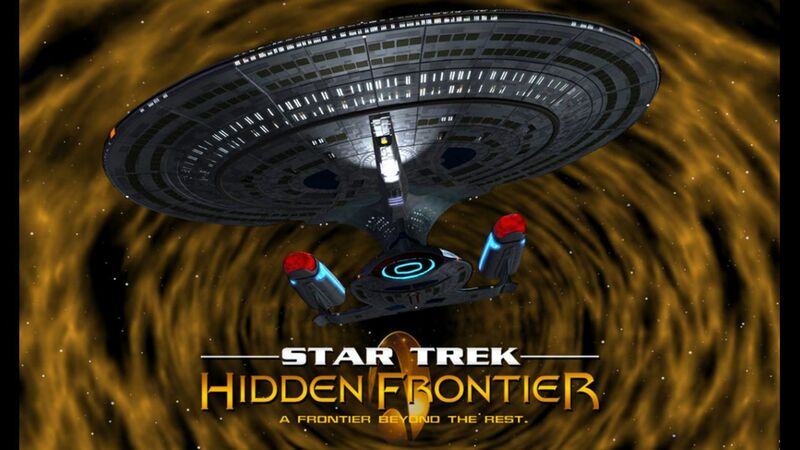 Its Hour Come Round At Last Jun 1, 2007 The stunning conclusion to the Star Trek: Hidden Frontier series.The Station is under siege by the Grey once more, as the crew of the USS Helena struggle to catch Siroc before he arrives at the Dyson Sphere. While the battle rages outside, Shelby and Lefler are leading a skeleton crew of 93 in a desperate ploy to restore the USS Excelsior and rejoin the fight to protect the station's civilians.With time completely gone, all hope lies in Admiral Knapp, Martinez, Jorian (Zen) Dao, Corey Aster and Jenna McFarland being able to figure out how to use the Hybrid ship; but things are far more different - and deadly - than they seem.With Ro as their captive and unwilling source of the technical data needed, Siroc and Betras arrive on the Dyson Sphere, and Siroc will stop at nothing to get to the secrets of the Dyson Sphere. Tolian Naros, along with Faisal, Henglaar, Elbrey, and others also arrive to try to rescue Ro Nevin and stop Siroc from bringing on the potential destruction of the universe.